[8:37] Brent was on a hockey team at age five. He learned team loyalty then. You win as a team, or you don’t win. Every time he put the jersey on he was going to give it his all. [13:55] Brent was brought into the Blackhawks as an older player to mentor the young defense players. He showed them his vulnerabilities on the ice and let them be vulnerable so they could learn to improve. That team won the Stanley Cup in 2010, and some of the young players became Blackhawks superstars. 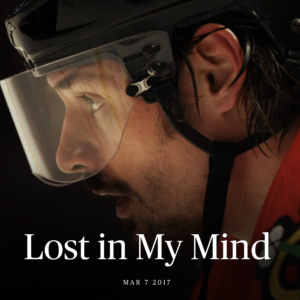 [16:17] The 2010 Blackhawks team was the first team Brent had been on that got along so well. There were no groups, only the team. Everyone respected everybody and their roles. [19:02] Focus 100% on the task at hand. Have your mind in a good place. Be 100% committed. Visualize what you need to do before you do it, to clear your mind of all distractions. On the ice, Brent was so intent that he didn’t care if he was going to break his hand or his leg blocking a puck. He was never the most skilled but he could always work harder than anybody. 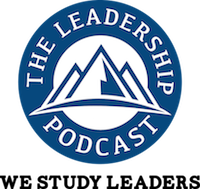 [25:55] Executives that have not been on a team have trouble working together. If you are not committed to your team, you will struggle as individuals and as a company. Visualize what you need to do before you do it, to clear your mind of all distractions. In business, for a small company or a large one, it’s the same thing. We have to be in it for that company to succeed. Brent Bernard Sopel (born January 7, 1977) is a Canadian former professional ice hockey defenseman who played the majority of his career in the National Hockey League (NHL). Sopel was originally selected 144th overall at the 1995 NHL Entry Draft by the Vancouver Canucks, the organization he began his NHL career with. He has also played for the New York Islanders, Los Angeles Kings, Chicago Blackhawks, Atlanta Thrashers and Montreal Canadiens, winning the Stanley Cup in 2010 with Chicago. 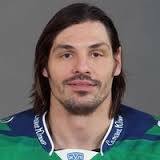 In addition to his NHL career, Sopel has also played in the Kontinental Hockey League (KHL) with Metallurg Novokuznetsk and Salavat Yulaev Ufa, also briefly playing for the American Hockey League (AHL)’s Chicago Wolves before retiring from professional hockey in 2015.